Since (1), I would have laughed in your face. The closest I come to enjoying fairies is Julia Roberts’ portrayal of Tinkerbell in Hook, because Hook is a classic and I’ll throw you in the Boo Box if you disagree. Do you even crow, bro?! So before we get to By Faerie Light from Broken Eye Books, let’s perform a little disambiguation. While both terms are derived from the Latin root fatum (fate) and there was indeed a time when the terms were used interchangeably (and even now that practice continues, though it seems to be for aesthetic reasons just as much as for any other), the differences in what each refers to has grown in distinction over the years thanks in some part to the Brothers Grimm and Disney. Fairy now conjures up images of minuscule beings with translucent wings that are typically beautiful, kind, female, and while they might be a bit mischievous they’re generally kind. Faerie, on the other hand, has taken on darker tones and a greater variation in size. They’re not necessarily tiny and they’re not necessarily nice. In fact, they can be your size and downright dangerous! They’re less likely to sprinkle your head with fairy dust for flight and more likely to sprinkle some salt on your head for their consumption! By Faerie Light is a collection of 18 short stories centering on faeries and their presence within and interactions with our world. Each is penned by a different author (or authors) and their credentials are appropriately fantastical. They’ve all got chops, is what I’m saying. And it shows! Each story is distinct in style, tone, and content. They vary from outright love stories to tragedies to combinations of the two, and there’s more than a few that are macabre and horrific. Deals are struck with unexpected consequences and fulfillments. Dreams are realized only to prove themselves as nightmares. Twists abound, and more than a few of the stories are open ended enough to suggest that the tale is far from over. A young maiden finds herself in a castle with a seemingly infinite number of doors – each leading to a different (and sometimes impossible) room. This would be perfect for a Roll20 group who is looking for quick and highly varied 1-hour encounters with a string (albeit a loose one) connecting them all. The DM could ready a radically different encounter every single session as the party searches the castle for the door that leads them back home…or to the castle’s king who is keeping them there. A young man offers his services to a faerie who quickly takes him up on his offer. Now he finds himself no more than two inches tall and facing down a squirrel in defense of a clutch of dragon’s eggs. I just think it would be a fun change of pace to shrink your warriors down to the size of your thumb and set them against a CR 0 creature that now towers over them and poses a very real and significant threat. Something they could once squish under their boot can now rip them limb from limb and gnaw on their bones! And this would be more than just facing a giant version of a creature…the whole world is giant now. What problems might that create for your PCs? A township is in dire peril as a seemingly unkillable beast terrorizes and consumes their citizens. 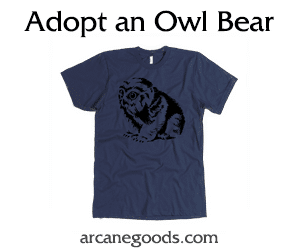 Their only hope might be a tenuous bargain with a dreaded creature of legend. I really dug the approach to this story as a fable held the key to a possible savior for the village. Will the party believe the young child who offers it as a solution? Will they risk an alliance with one evil to defeat another? And will things go as planned…? This would just be a fun mechanic to slip in on your players. They get paid for a service, alright, but with treasures that didn’t belong to those that gave them over. Now the original owners are hot on their heels and will kill to take back what’s rightly theirs. Blowing minds, one book at a time, with cutting-edge fiction from today’s rising stars. 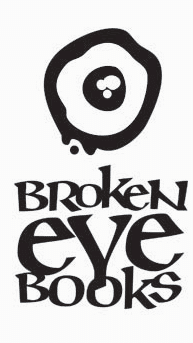 Broken Eye Books publishes innovative genre fiction. Fantasy, horror, science fiction, weird, we love it all! And the blurrier the boundaries, the better. They’ve impressed me twice now – first with Izanami’s Choice. They’re a publisher to…erm…keep your eye on…if you’ll pardon the pun. If they continue to deliver content as good as these, I’m sure you’ll see their name on our site again. 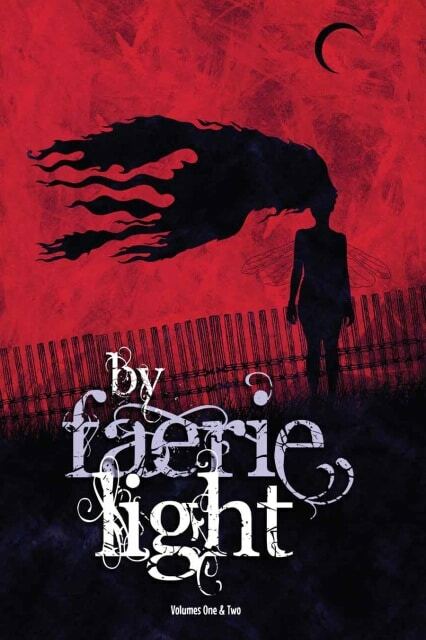 By Faerie Light can be purchased on Amazon for your Kindle for $4.99 (also available in paperback form).